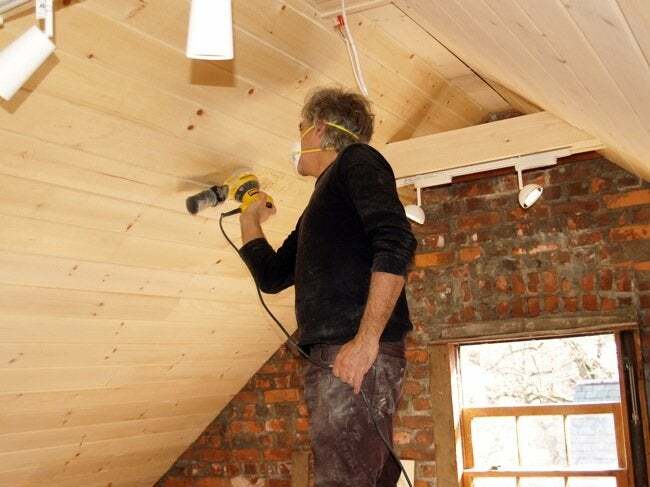 Though it's not the least expensive, installing a wood ceiling is one of your most eye-catching options. Nearly 30 years ago, I traveled to Finland and toured a series of modular, site-built homes in the city of Jyvaskyla. Apart from their energy efficiency—windows closed like refrigerator doors!—I remember being impressed the use of wood on all interior surfaces, ceilings included. Maybe these memories played into my recent decision to install a wood ceiling in our converted attic. In a space with two-foot knee walls, where the prominent ceiling is pretty much all that you see, wood struck me as the best choice. But you may not be surprised to learn that installing a wood ceiling is more expensive than using drywall. All in, it would have cost about $1,450 to drywall the ceiling in my attic. That’s roughly the amount I ended up paying for just the tongue-and-groove boards alone, prior to their installation. Labor costs added another $1,400 to the total project cost. It took three days for a carpenter and his helper to complete the work (with me lending a hand). Less time would have been needed in a different space, I’ll bet. There were some quirks encountered in my attic. For one thing, the old rafters were neither sized nor spaced regularly. Additionally, there was some tricky fitting to do at the ridge, around the collar ties, and along the rough masonry end walls. My wife and I handled the finishing. After sanding the wood and sealing it (so the stain wouldn’t go blotchy), we applied two coats of White Wash Pickling Stain from Minwax. All of that was done within 48 hours, which means that in my case, installing a wood ceiling took the better part of a week. 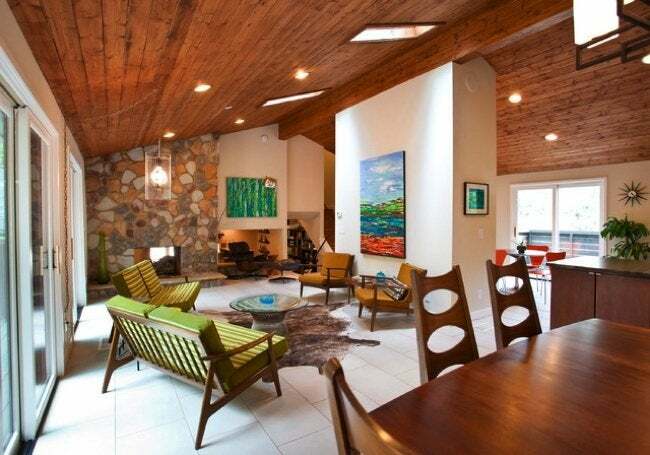 No, I don’t splurge on a lot, but the wood ceiling is something I enjoy every day. Yes, it costs as much as a nice vacation, but I have no regrets. Oh, speaking of vacations: In the summer of 2014, there will be another housing fair in Jyvaskyla!